I gave her the cheque. “What’s the use of this?” she said. We were standing in the hall. My bag was packed, not that she knew it. “I’m not having it,” she said. She held the cheque up to the dim hall light as if looking for a watermark. I didn’t trust it either, which was why I hadn’t tried to cash it myself. Strudwick’s cheques have a rubber component, as I’d discovered on several occasions. He hands them out like confetti and like confetti they end up in a bin. She shook her head. I was getting irritated. I took the cheque back and went upstairs. I was set to go and had even remembered to filch my ration book from the kitchen dresser. I’d already moved most of my stuff round to Marigold’s; it had taken three nights to effect the transfer without Mrs Fitzherbert noticing. That wasn’t her name but it suited her, suited the air of superiority she attempted when dealing with her lodgers. I could hear the hall clock’s tinny chime: eleven. I’d told Marigold I’d be there by mid-morning. Still, when was I ever punctual? I could hear Mrs Fitzherbert banging saucepans in the kitchen, so I couldn’t risk the hall route. My room was on the first floor and I’d already thought this through. I opened the window, threw the bag onto the thin strip of scratchy grass separating house from pavement, climbed onto the window ledge and crouched there for a moment. A mother wheeling a pram stopped to watch. I worked my way around until I was in a position to lower myself to my full length, hanging on to the window ledge, and then let go. The drop was no more than six feet but my knees didn’t care for it. It was hardly my fault. I tried to pay her. The cheque might not have bounced. Marigold’s flat was in Cricklewood. It wasn’t much of a place, and I didn’t much care for it. Or for Marigold, despite the splendour of her breasts. She was from some Midlands town and spoke in a flat, depressed accent which made all her remarks take on a comic tinge. I’d learnt not to laugh. She also wanted to marry me. I’d pointed out that this was a thoroughly bad idea (I know my limitations) but she persisted in it. She had a tedious romantic fixation on the notion of the writer-as-artist and seemed to think that I fitted the bill. I’d demonstrated overwhelming evidence to the contrary on several occasions but she took no notice. It had of course occurred to me that this move might be a mistake, but my publisher, Wingate, was keen on having a second collection of stories as soon as possible and I needed to come up with at least fifteen and ideally more. To date I had nine that I liked sufficiently to warrant book publication. The trouble was that I’d needed cash and had accepted three other commissions which had to be cleared out first. The most pressing was the thriller I’d outlined for that dullard at Broadcasting House, most of which I’d invented on the spot and was now having difficulty remembering. It must have sounded as if it had a satisfactory plot but apart from there being several murders I could recall almost nothing of it. I couldn’t even remember who I’d said the murderer was, and why he was doing it. Cross up Strudwick and frankly the consequences are irrelevant, there’s always another short story mag to move on to, but the BBC is another matter. I simply had to finish the thriller. 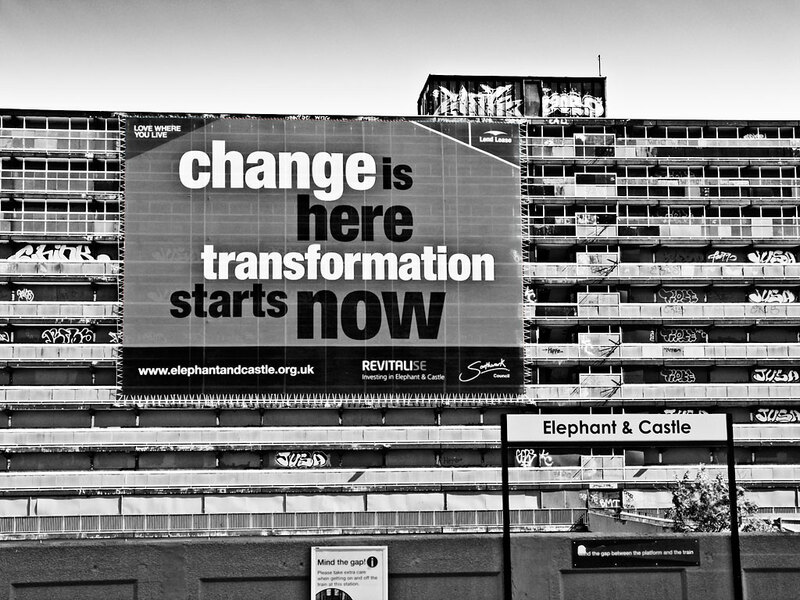 Or indeed start it. To do this I needed somewhere to write, somewhere quiet. I cannot tolerate interference of any sort. Mrs F’s demand for rent was ridiculous. I was only three weeks behind and she could easily have indulged me for a few weeks more. I was left with Marigold’s flat as the only option. She was waiting for me, arms folded, and refused my offer of a kiss. It was already lunchtime and I’d been further delayed by an encounter with Chas. 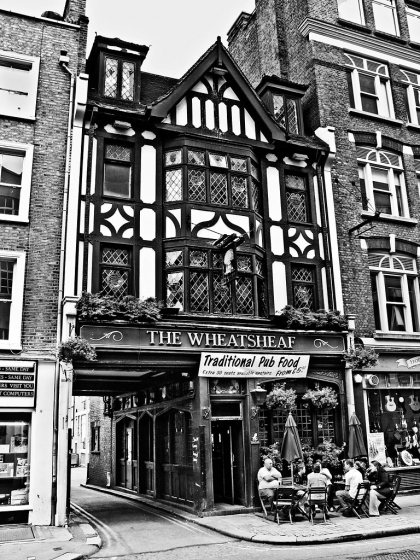 I’d looked into the Wheatsheaf to see who was around; it was part of my office routine to check on the gossip. Chas was there, listening or rather not listening to an elderly bore with black and crooked teeth, and was relieved to see me. He abandoned the old man and joined me in my corner beneath the Landseer etching. I always stand there. The regulars understand that it’s my place and give way when I arrive. “There’s something on your face,” I said. I wasn’t so sure. Chas ran a book, basing himself in several pubs. He looked like a spiv, which is after all what he was, and the moustache did nothing to dilute the impression. I like Chas. We get on well. He doesn’t interrupt. He suggested a quick one, and then what with this and what with that we had two more quick ones. I didn’t need to point out that I was broke. It’s one of Chas’s virtues that he assumes it and seems to regard it as a matter of pride to keep me in whisky. In return I read him the first pages of my salesman story. I’d been a door-to-door vacuum cleaner salesman in the months after my dishonourable discharge from the army so I knew what I was writing about. I’d not been very good at it. Chas told me it was a brilliant story. I said I thought it was pretty good. Chas said that it was better than that. We had a fourth quick one to celebrate. His reaction gave me a fillip and I swore an oath to myself there and then that I’d finish the story within the week. 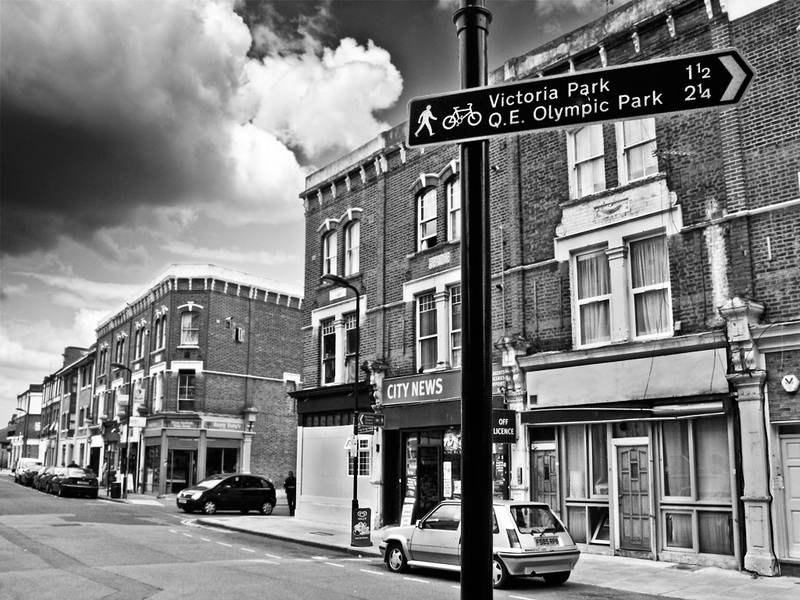 It was only as I approached Marigold’s street that I realised that spending valuable time on it was inadvisable. The commissions took precedence. More to the point there’d be a fee paid on delivery of each ms, whereas it could be several months before Wingate coughed up anything more. I tried to placate Marigold by investing Chas with the title of fiction editor, but she wasn’t having it. Her proprietorial attitude towards me meant that she’d begun to take an interest in how what she referred to as the literary world functioned. She knew who the editors were and Chas wasn’t one of them. To take her mind off it I put my arms around her waist. We then made love on the rug in front of the gas fire. Afterwards I retreated to the bedroom determined to concentrate on work. I’d written nothing and had to get on. I’m not happy unless I’m managing at least a thousand words a day. My exercise books sat on a small table by the side of the bed, one for the novel, three for short stories, one for general observations and two blank, though one of these had ‘BBC’ written on the cover. I opened it and unscrewed the cap on my Sheaffer pen. Motive, I thought, the murderer needs a good motive. Marigold came in and sat on the bed. My mind went blank. I won’t describe the row that followed. Marigold stomped off in a huff. I heard the front door slam. I gave up on the murderer and went back to the story about the warring children in the park. That evening I walked back to the Wheatsheaf. It was a long haul from Cricklewood. Marigold wanted to come and said she’d pay for the bus. I said she’d spoil the evening for me if she came, so we had another row. She lay down on the bed and pretended to sleep. I felt increasingly sure that moving in with her was a mistake, even though no rent was involved. Marigold’s vision of herself as some sort of helpful acolyte was unacceptable. My word count for the day was poor; two hundred and seven. I blamed Marigold and told her so. As I walked I began to feel depressed. I searched for possible escape strategies and could think of none. My winter coat with the fur collar had survived my packing, as had my cane with its golden duck’s head. Marigold told me that the cane was an affectation. Of course it was, and wasn’t that the point? I like to draw attention to myself, to stand out from the pack. The walk took over an hour. The bar was crowded but I found the babble of voices exhilarating. I rubbed my hands together and looked around. A pair of butch dykes occupied my position beneath the Landseer. I stared at them but they didn’t move and I had to reach past them to rap on the counter with the cane’s head. Arthur was behind the bar. He raised his eyebrows and held up a tumbler. I didn’t bother to reply. Arthur shrugged and pressed the optic. “That is my place,” I said to the Sapphists. One was wearing a man’s suit and a bow tie. “I always stand there,” I said to her. She stared at me as if she hadn’t understood a word. “You needn’t move if you don’t want to,” Arthur said to her as he handed me the tumbler. I have the knack of commanding attention and even, sometimes, acquiescence. The pair looked at each other, shrugged, took their pints and sloped off. I took up position and scanned the bar. The Irish gang were in, standing at the far end. Cronin saw me, fought his way through the crowd and asked for his fiver back. “I’m expecting a royalty cheque any day now,” I told him. I couldn’t be bothered to respond. Cronin muttered something I didn’t catch and rapped his fist on the bar. “Never again,” he said, and returned to his pals. 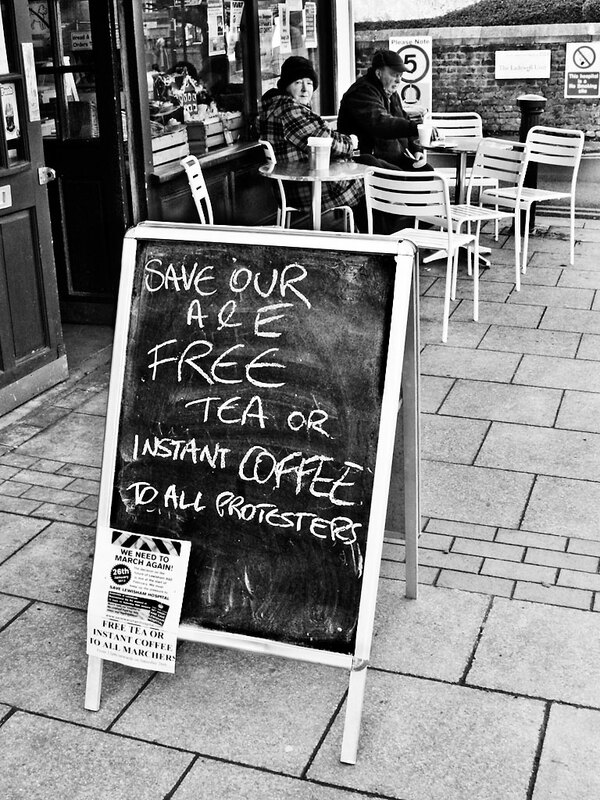 I recognised several regulars, BBC effects people from the Grafton studios and furniture salesmen from Heal’s and Maple’s but had no interest in talking to them. Three underweight squaddies began singing The Good Ship Venus. Others joined in. The din was immense. A youth sporting an attempt at a beard sat alone at a nearby table. He had a finger in his left ear and was reading Proust in the Scott-Moncrieff translation with its distinctive cover. The young man looked up, unsure who had spoken. I raised the tumbler. He said nothing but continued to stare at me, uncertain of his response. I wasn’t sure he’d heard me. “Would you? Would you agree?” I said, forte, waited a few seconds, then shrugged and turned back to face the bar. A minute later he was standing beside me, as I’d anticipated. He blinked and nodded. I took pity on him. “One Scotch egg,” Arthur said, shoving a brown crumb-encrusted grenade towards me. 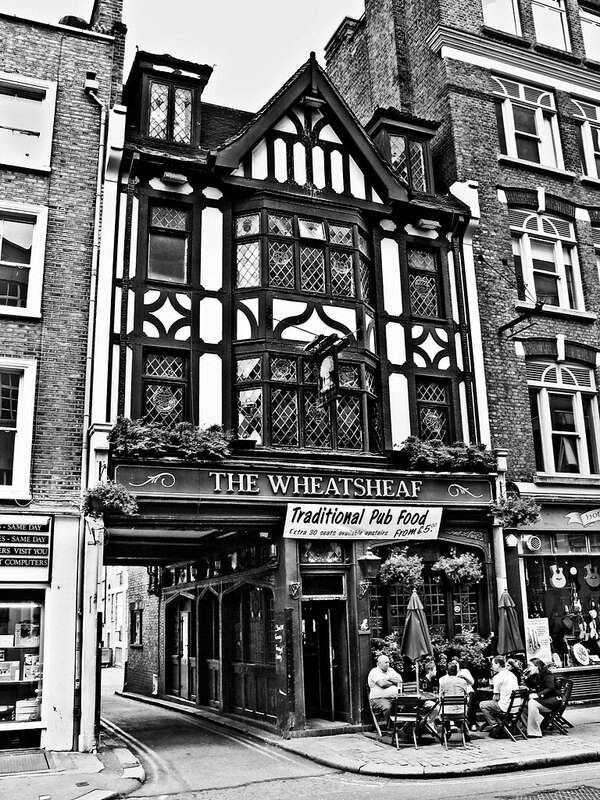 It looked unappetising, and indeed was, but it was about all the Wheatsheaf served apart from alcohol. He waited as if expecting me to pay for it. “On the slate,” I said. Arthur shrugged and moved off. He knows perfectly well that I always settle up, however long it takes. “Lawrence Tatnall,” he said, holding out a hand. I bit into the Scotch egg. I took another bite, chewed and waited. He looked at the floor. So did I. He was wearing brogues, expensive ones. There was a sudden bellow of laughter from the Irish gang. I caught Cronin’s eye and saluted him with my empty tumbler. He nodded back then looked away, rather too quickly I thought, and whispered something to Dan Davin. “May I buy you another?” Lawrence said. I was beginning to like Lawrence. We stood and talked literature until closing time. I advised him against adverbs and he bought another round and then another. “Time gentlemen please,” Arthur called out. The Irish gang had already left. We went round to Charlotte Street where I tested the bed and agreed that it was as advertised. Lawrence made cocoa and I began to examine him more closely. I’d had a thought. Murderers, in fiction at least, have to be unexpected and Lawrence with his peach-fuzz beard, his wide eyes and his tail-wagging enthusiasm appeared as harmless as it was possible to be. He’d make a splendid murderer. He was a final-year student at Guy’s Hospital, too, so it was entirely plausible that his medical training would provide him with excellent ways of dispatching his victims. I’d begun to feel the itch, the unmistakeable itch that needed scratching, that needed scratching now. The delay was agonising. At last Lawrence went to bed and I had a chance to check out something I’d noticed earlier. A pile of medical textbooks were stacked on a chair in the living room and, just visible at the bottom of the pile, what looked like an exercise book. I pulled it out. On its cover someone had stencilled HEART, and the majority of its pages were filled with, I presumed, Lawrence’s notes on cardiac functions and malfunctions. I flicked through it and my prayers were answered. A good ten pages at the end were blank. That was plenty. I ripped them out, went into the spare room, located my trusty Sheaffer, removed my trousers, clambered into bed and, sitting up, began to scratch the itch. Tiredness intervened after a couple of hours, but by then I estimated that I’d produced something approaching two thousand words. Chas was proving to be a first-rate detective, and Cronin made a most satisfactory victim. I hadn’t yet found a place for Marigold and Lawrence’s motive for committing multiple murders remained obscure but I decided that that was a good thing. I’d save the revelation of whatever it turned out to be until the final chapter. It was only as I was falling asleep that I remembered that the BBC wallah had commissioned a play and that the whole thing would have to be reworked in dialogue. Next morning we had a decent breakfast. There was even bacon. I didn’t ask Lawrence where or how he’d managed to get it. I outlined the situation. The hint was a bit on the heavy side but I wanted to make sure he got it. He did. We shook hands. He didn’t ask for rent and I didn’t offer any. It was all very satisfactory. Two or three weeks would sort out the commissions. Then, delivery-of-manuscript fees in hand, I’d get back to my second collection for Wingate. Or so I thought. He was leaving for Guy’s when he said it. My smile froze. His round, pale, seemingly innocent eyes widened. “Write together? Wouldn’t that be great?” he said. I stared, speechless, at my tormentor, my murderer. What have I done to so offend the Gods?